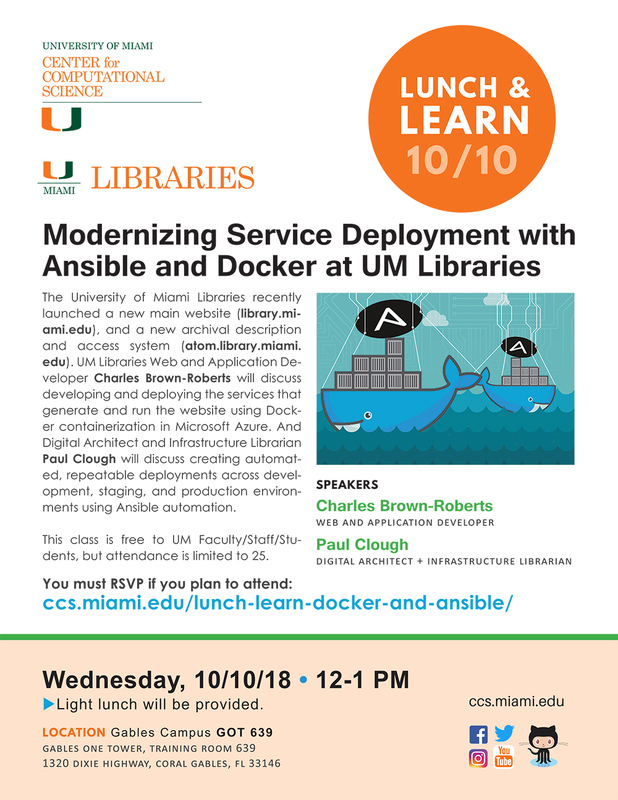 CCS presents a Lunch and Learn session Modernizing Service Deployment with Ansible and Docker at UM Libraries on Wednesday, October 10, 2018, 12:00-1:00 PM. 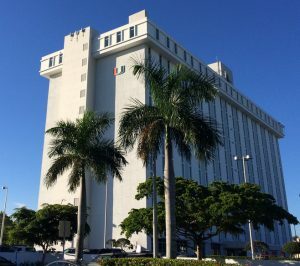 The University of Miami Libraries recently launched a new main website (https://library.miami.edu) and archival description and access system (https://atom.library.miami.edu). Charles Brown-Roberts, Web and Application Developer, will discuss developing and deploying the services that generate and run the website using Docker containerization in Microsoft Azure. Paul Clough, Digital Architect and Infrastructure Librarian, will discuss creating automated, repeatable deployments across development, staging, and production environments using Ansible automation. Attendance is limited to 25. Please RSVP if you plan to attend. Light lunch provided. This class is free to UM Faculty/Staff/Students.